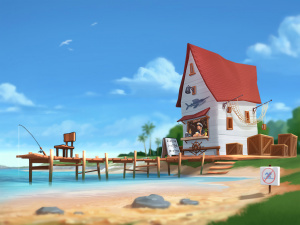 The sea pier provides the best fishing spot of the town. Captain Terry can be found in the shack at all times of day. This location is unlocked after finding the fishing rod. Fishing minigame can be played here.